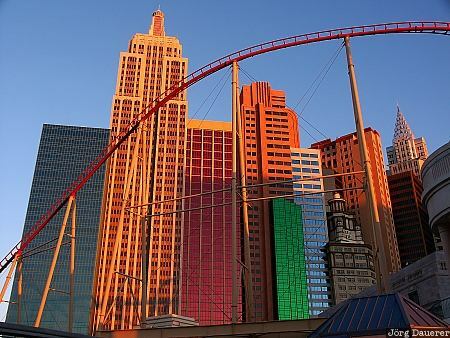 The New York-New York Casino on The Strip (Las Vegas Boulevard) in Las Vegas illuminated by the first light of the day. Las Vegas is in southern Nevada, United States. This photo was taken in the morning of a hot day in October of 2002. This photo was taken with a digital camera.